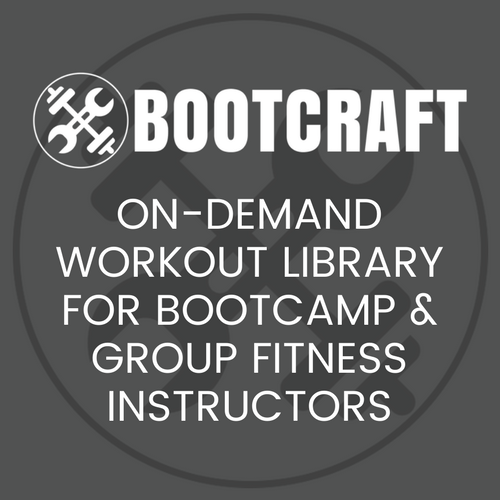 This weeks workout is from the talented Garry Robinson, author of Bootcamp Workout Ideas. Leave the fluro sweatbands and leg warmers at home. Today we are training the aerobic energy system bootcamp-style! Identify a local landmark approximately 500m away from the park or area where you will be training. In the first round, all participants are instructed to run (or power-walk) out towards this landmark then back to the park as quickly as possible. In order to scale the workout for all participants, only one person in the group needs to reach the landmark on the first time out. As soon as they do, everyone in the group should then take a mental note of exactly how far they got, then turn around and run back. Each person will now have their own personal turnaround point for subsequent rounds. Upon returning from the run, they perform 100 reps of the prescribed exercise for that round. This can be broken down however they like into sets with rest in between but the aim is to complete the workout in the fastest time possible. Everyone must complete 100 reps of the exercises which can also be scaled to their own ability as per below. Since the scaling methods employed in this workout ‘level the playing field’, you can generate enthusiasm and intensity by turning it into an all-out race to finish in the fastest possible time. The main segment takes between 30 and 35 minutes for the average civilian adult group. Join the Bootcamp Ideas mailing list and get free updates.